Yesterday found us at a family member’s home, enjoying family, the fantastic fall weather and of course, delicious food. The time for cookouts, corn mazes, pumpkins patches, hayrides, and bonfires has finally arrived! We are excited to dive into all the fun festivities, but I’ve learned from our previous cookouts and bonfires to expect lots of laundry stains. 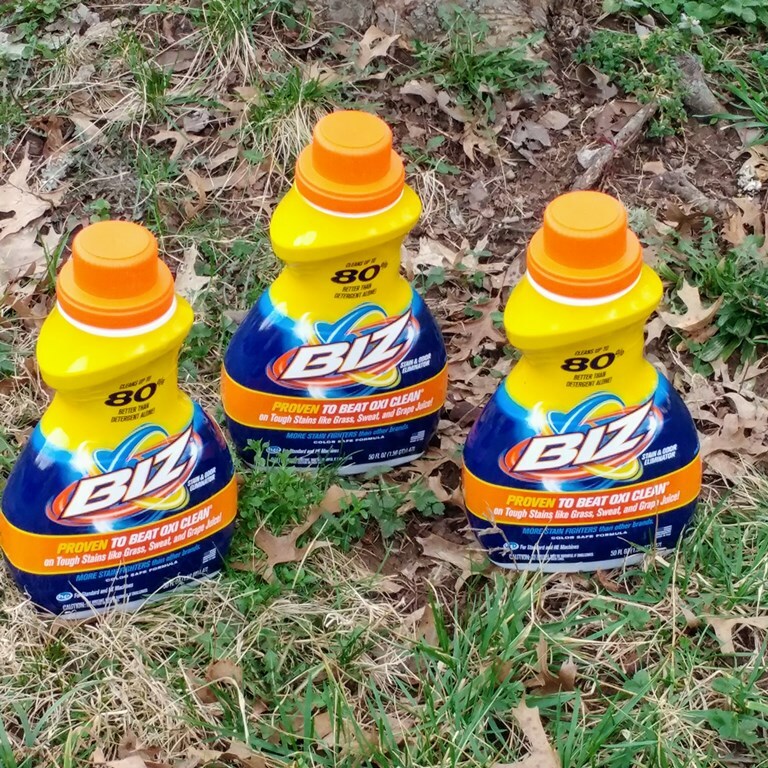 Don’t let laundry stains keep you from enjoying outdoor activities, simply use my secret weapon- Biz Stain Fighter! This is a sponsored post on behalf of Biz Stain Fighter. I received information and products to facilitate my post as well as a promotional item(s) to thank me for my participation. All opinions are my own. If you read my blog with any regularity, you know that I have the honor of being a Biz Ambassador this year and I’ve grown to love their products more and more with each passing month. 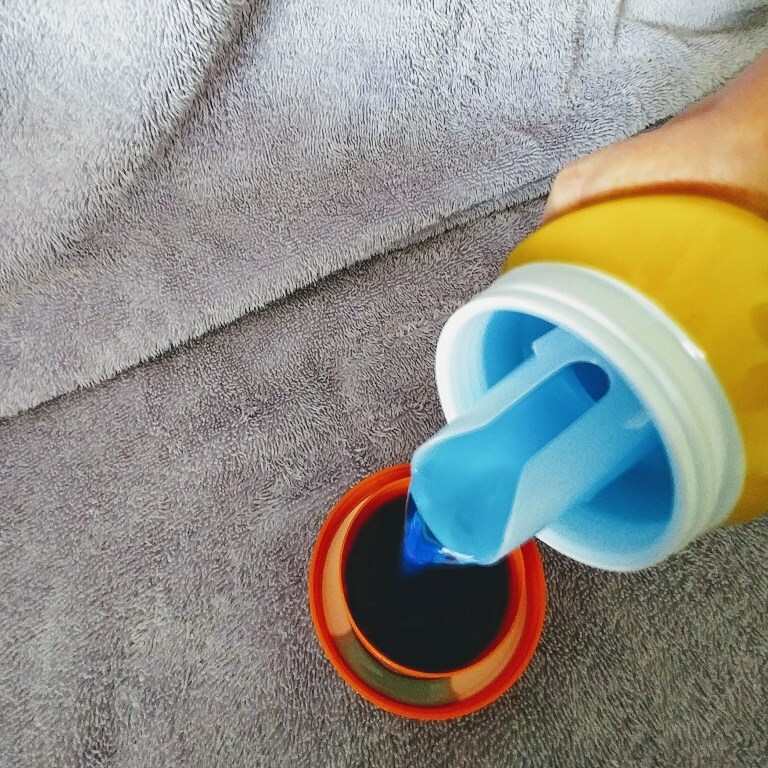 This product works on some of the toughest laundry stains like mustard and ketchup from hot dogs and hamburgers, to grass stains from playing games around our yard. "Biz Stain fighter works on all types of stains, everything from blood, grass, grape juice, chocolate, mustard, ketchup etc. According to their website, Different stains require different ingredients to eliminate them. Science shows that there is no one single ingredient that cleans everything well. So why doesn't every brand put all of these ingredients in? Probably because it costs more to do that. But Biz didn't cut any corners... Biz has more stain fighters than other brands. That's why it works better." Here are examples of typical laundry stains and which active ingredient in Biz Stainer Fighter works to eliminate it. One thing that isn’t listed on there, but in my opinion should be, is Biz Stain Fighters’ amazing odor eliminating powers! Anybody who has attended a bonfire, especially one of ours, can attest to walking away smelling like smoke. It is an inevitability, especially with my husband’s clothes because he is the official fire tender. 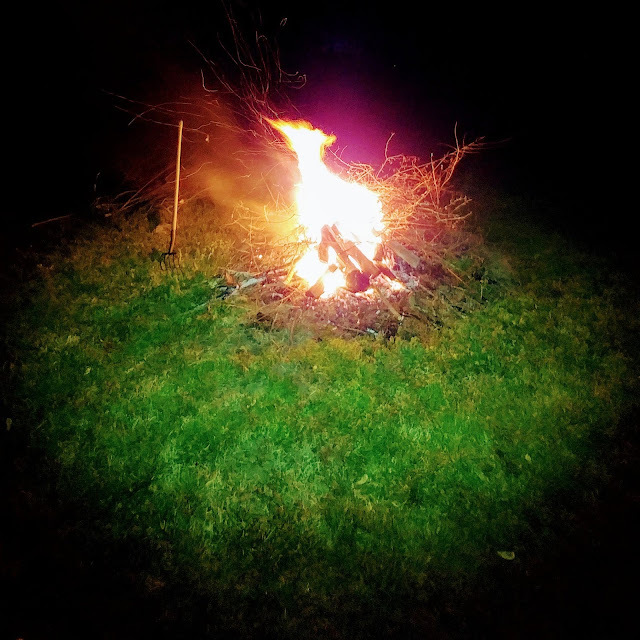 He loves adding Oak and other great smelling and long burning wood into our bonfires, but I have to separate his clothes for cleaning afterward. For this load, I use ¾ Biz Stain Fighter and ¼ laundry detergent and it works like a dream with just one wash With all the bonfires and cookouts we host or attend this time of year, ! I love that I can take a sniff and am 100% sure there is no lingering smoky odor. 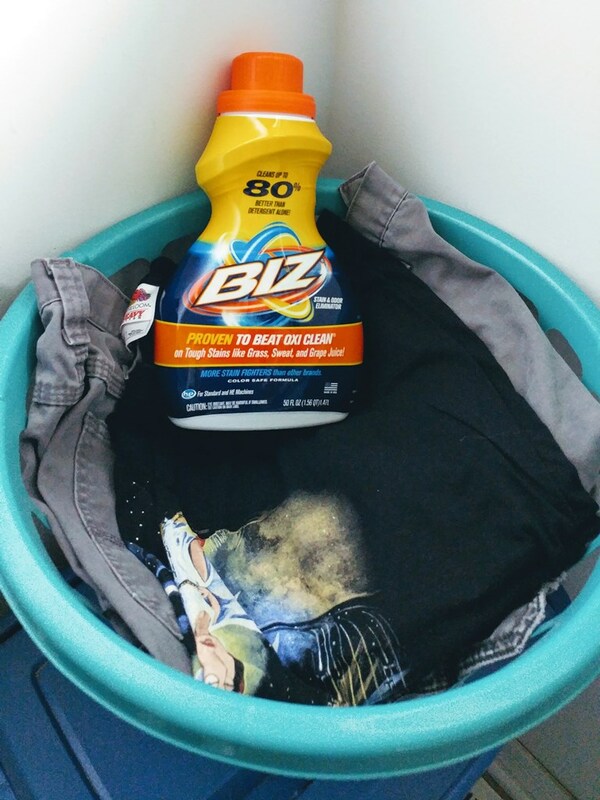 One wash with Biz Stain Fighter and the toughest stains and smells are handled. What a blessing in the laundry room! 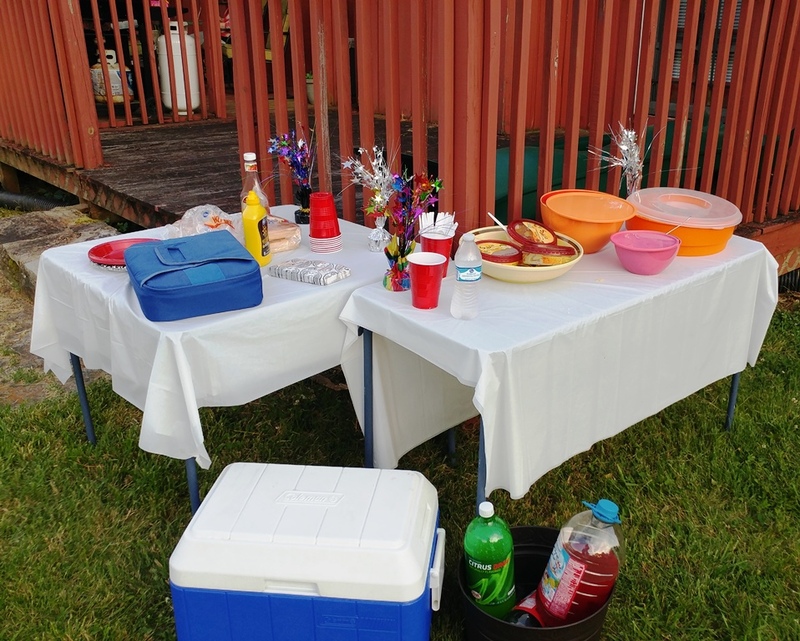 Before your next fall festivity, why not head on over to the Biz Stain Fighter website where you can learn more about the active ingredients, see their brand to brand comparisons, read laundry stain tips and tricks and print out a dollar off coupon. You can also learn more about their whole line of products and their multi-purpose uses around the house. 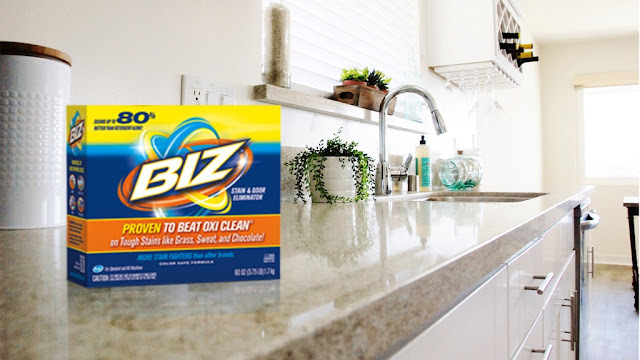 For instance, in the kitchen, you can use Biz Stain Fighter Powder to clean and deodorize countertops, waste cans, refrigerators, floors and more. Mix 1 scoop (1 cup) Biz in 1 gallon of warm water. Apply solution to dirty surface with a sponge, cloth, or mop (for sensitive skin wear gloves). Or, sprinkle Biz on a wet sponge, cloth or brush. Scrub on the surface to clean. Do not let dry. Rinse thoroughly. As you can see, the line of Biz Stain Fighter products will help you tackle any tough laundry stain you may run into this season and help you clean your home and get it company ready. Please share in comments: What fall activity are you most looking forward to?